In 1997 Travis and his family founded the Travis Roy Foundation to raise money and awareness for other quadriplegics and paraplegics and to support research for a cure. Travis received an outpouring of public support following a freak paralyzing injury playing ice hockey for the then NCAA champions Boston University Terriers. In an effort to give back, Travis created a tax exempt charitable entity to raise money for others. See more of Travis' story here. Lisa Kielt is excited to join the Foundation as the Director of Operations, helping promote hope and independence to the SCI community. "Working alongside Travis and the extraordinary volunteers that have guided the Foundation since its inception will be incredibly gratifying," she says. "What I find most compelling is the Foundation's two-fold mission to support the SCI community by funding cutting-edge research, while improving the quality of life for patients and caregivers at the same time. I am excited to join the team to help enhance operational infrastructure and support the expansion of such an impactful organization." A former hockey mom, Lisa lives in Boston with her husband, teenage son, and one exceptionally quirky Scottish terrier. 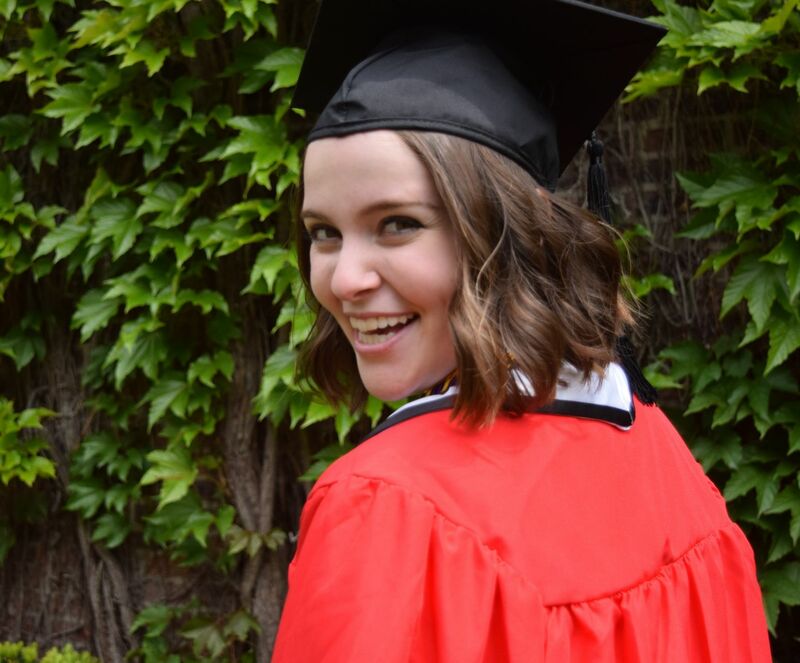 Kate is a recent graduate of Boston University and could not be more honored to join the Foundation and its incredibly welcoming, dedicated team. 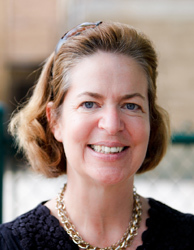 She works at TRF Headquarters collaborating with staff, Board and donors to enhance the operations and spread the mission of the TRF from the inside-out. Kate’s degree focused on Nonprofit Public Relations and she feels grateful that every day she gets to both build on that knowledge and help the SCI community. A California transplant very far from home, Kate feels humbled and fortunate to work in the supportive, warm team environment that the Travis Roy Foundation fosters. He values his association with the Foundation and with Travis as there is no other organization in the country that has the ability to garner widespread grass roots support to help individuals who have no where else to turn for adaptive equipment and support, to help them get on with their lives. Travis’ own injury and his daily life gives him a unique perspective on how best to help others, and his optimism, competitive drive and humor make the Foundation fundraising initiatives fun and rewarding.Art is a partner with the law firm of Hemenway & Barnes LLP of Boston, which provides pro-bono administrative services to the Foundation. 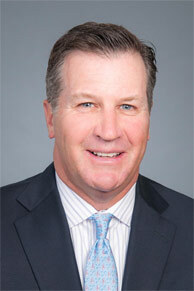 He and his wife Connie live in Belmont, Massachusetts; they and their three children have all been active supporters of the Foundation’s various activities. After seeing all that Travis had accomplished in building the Travis Roy Foundation, Benton wanted to do his part to raise awareness, and traveled to nearly every state in the country with Garrett to meet with state representatives and raise funds for spinal cord research. Benton saw that Travis was not only devoted to helping others financially, but also dedicated to providing hope to those affected by spinal cord injuries by funding research projects towards a cure. Benton has seen how a spinal cord injury changes lives – not only of those who are injured, but entire families, circles of friends and neighborhoods. The greatest wish of each of these people is to see their loved ones able to stand up and walk again, and that is something that Benton believes the TRF works every day to achieve.Throughout Benton’s involvement with the foundation, he has seen its reputation continue to grow. Benton believes that the TRF’s strong and timeless core mission is what has helped the cause become so well-known and gain more and more volunteers each year. The organization remains timeless and relevant because it serves not only the immediate needs of grant recipients, but also because the research done currently helps to provide hope for the future of spinal cord injuries.Aside from supporting TRF, Benton is also a pilot on the side, and spends his free time flying. He is also a big fan of Disneyworld because the grounds are very wheelchair accessible, and he loves traveling there on vacations with his family. It means so much to her that after 19 years, so many people still care about Travis, and about finding a cure for spinal cord injuries. She most enjoys spending summers in Vermont with Travis, her daughter Tobi and her husband Keith, their four children, and a multitude of extended family. He is amazed at how Travis’ story has transcended generations; children not yet born at the time of the accident read Travis’ book and take away from it Travis' core values. Dan is also proud of the way TRF is run as all money raised goes back for grants for individuals with spinal cord injuries or spinal cord injury-related medical research. He believes TRF makes big differences in people's lives. Eleven years ago, Dan created the TRF winter ice hockey event – the Beanpot Charity Challenge. He is touched every year at the amount of funds that the participants are able to raise. He says that hockey guys always stick together to help each other out and Travis is someone that the guys all band behind..When he is not helping support TRF, Dan works at BNY Mellon Wealth Management, sits on the young leadership committee for the Boys and Girls Club of Boston, coaches hockey and spends time with his wife and young son and daughter. 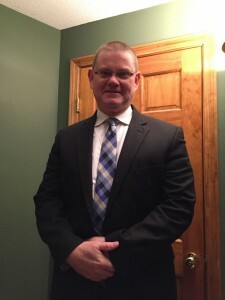 In more recent years, Ed has had the pleasure of working with Travis through the corporate world and has seen firsthand the impact of Travis, his family and friends. Ed had always been impressed by the strength, honesty and kindness shown by Travis and the foundation and is honored to now have a chance to help spread that message. John Butterworth grew up locally in Newton, MA. He is a graduate of Providence College. 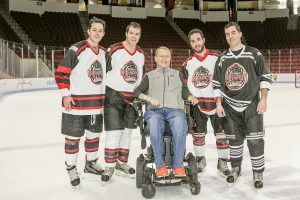 Growing up in New England, John has been involved in the hockey community and through that community was connected to Travis Roy and The Travis Roy Foundation. John is involved with a number of Charitable Organizations and Boards but none have attracted his attention more than Travis Roy and his Foundation. John, his wife Erin and children Grace, Jack and Ned live in Newton. He says that the purpose of the Foundation has always been to raise money for spinal cord injury survivors and research for a cure, but he is amazed at the level of professionalism that the numerous volunteers have brought to the organization. His favorite TRF fundraising event is the WIFFLE ball tournament because he believes it encapsulates the spirit of the organization. Each year the participants are thrilled with the feeling of competition for a good cause. He most appreciates Travis's humility, sense of purpose, politeness, honesty, courage and concern for others. Instead of focusing on his undeniable loss and tragedy, Travis chose a different path; choosing to drive his mission and cause to every corner of the country, helping those in need and chasing down a cure for paralysis. He is making an incredible contribution to the spinal cord injury population, and their families; and I am incredibly proud to be involved with his Foundation". In addition to the Travis Roy Foundation, Steve is involved with several other charities and organizations, including: Boston College, The Mardy Fish Foundation (Vero Beach, FL), Victory Gallop (Akron, OH), Cystic Fybrosis Foundation, and the Welles Remy Crowther Charitable Trust (“the Man in the Red Bandana”) (Nyack, NY). Steve and his four children reside in Hudson, Ohio. Travis inspired the freshmen to achieve great things in their lives and to make the world a better place. Tobe is the co-professor in AdLab, BU’s student operated advertising agency. AdLab students worked with Travis to produce a promotional video celebrating the spirit of the Boston Marathon and the Travis Roy Foundation. Tobe was a political media consultant and worked with many organizations helping them to promoting their services to the community. 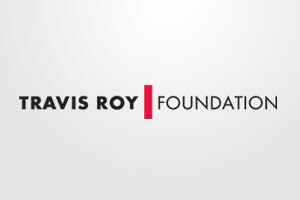 His relationship with the Roy family over the years has influenced him both personally and professionally, and he is honored to be actively involved with the Travis Roy Foundation more than two decades later. He is proud to see the impact that Travis and the Foundation have had on the SCI community over the past 17 years and is motivated to help the Foundation meet its goals. 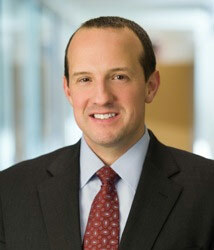 A graduate of Quinnipiac University, Jason is the Vice President of Finance at General Atlantic, a global private equity firm with a strong history of philanthropy. He lives in Fairfield, CT with his wife and three young daughters, who all enjoy visits with the Roys in VT. 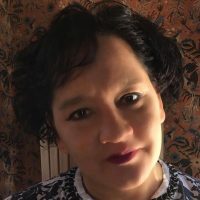 In the fall of 2010, Paula officially became the Research Liaison for the Foundation and meets with researchers throughout the country to learn as much as she can about the progress towards the cure for spinal cord injuries and reports her findings back to Travis and the Board of Trustees. Paula is a sign language interpreter, and is still thrilled to be involved with the Foundation during this very exciting time as researchers strive for the cure. She had been paralyzed from a spinal cord injury years ago from a fall and eventually passed away from related complications. Feeling like he may not have been able to do enough to help his mother has inspired him to help the Travis Roy Foundation. He lives in NH with his wife Deb and growth kids Nicole and David and works in the Finance Dept of Beth Israel Deaconess Medical Center. Andrea has worked with the Travis Roy Foundation since 2014, when she says she quickly fell in love with the foundation, its mission, and its people. As an advisor in the Family, Office and Philanthropic Services group at Hemenway & Barnes, LLP, Andrea provides advisory services to the Foundation for grant writing and management; assistance with financial, tax, audit, and legal issues; and supporting the board of trustees. 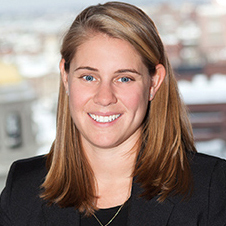 Andrea is a graduate of Fairfield University and a member of the Massachusetts Bar, and lives in Boston.